There’s something deeply compelling about decaying machinery and it’s even better when there are shipwrecks involved. Pirate from over at ZGeek has pout together a cool series of photos of his visit to the abandoned hulks at Homebush Bay. 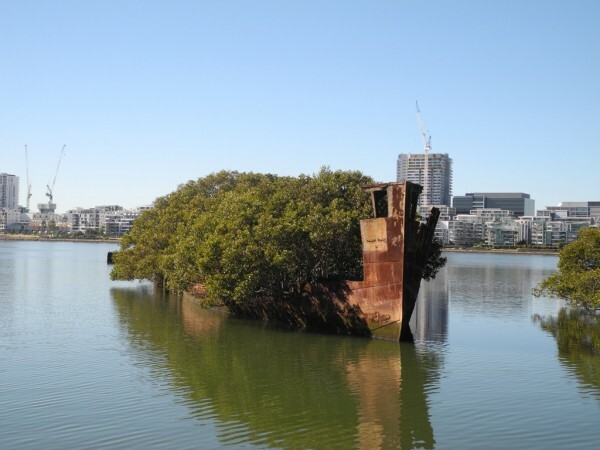 I have to admit I had no idea there were shipwrecks just sitting in Homebush Bay; even though I have a sneaking feeling I’ve ridden right past them without really noticing them. In addition to being a fascinating link with the area’s past, they just look great. There are lovely rusting engines; decaying wood exposing blacksmithed nails; slowly rusting iron plates. Great stuff. There’s also an almost whimsical element to the shipwrecks. Several have plants growing on them and one is turning into an island of trees. All-in-all, this would be a great addition to the Nerdy Day Trips for Sydney. Our thanks to Pirate for some fine photography. To see it all go to ZGeek. Thanks for the link chum!